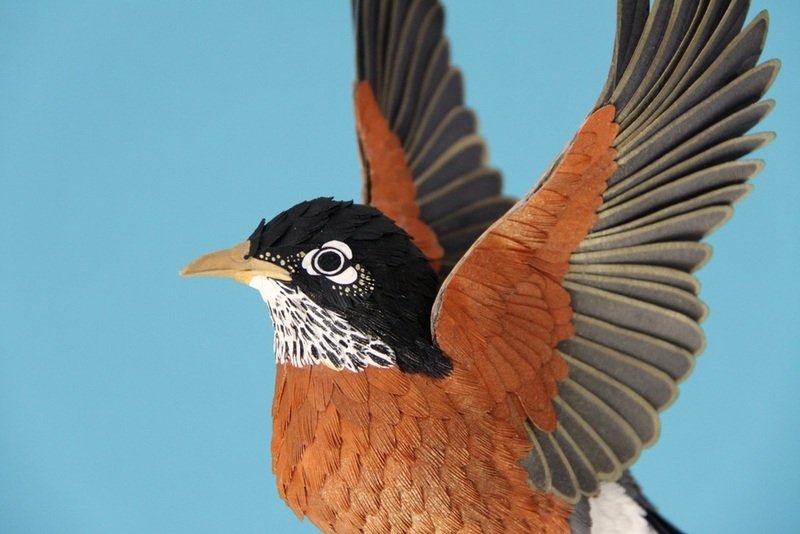 Diana Beltran Herrera’s paper creations. 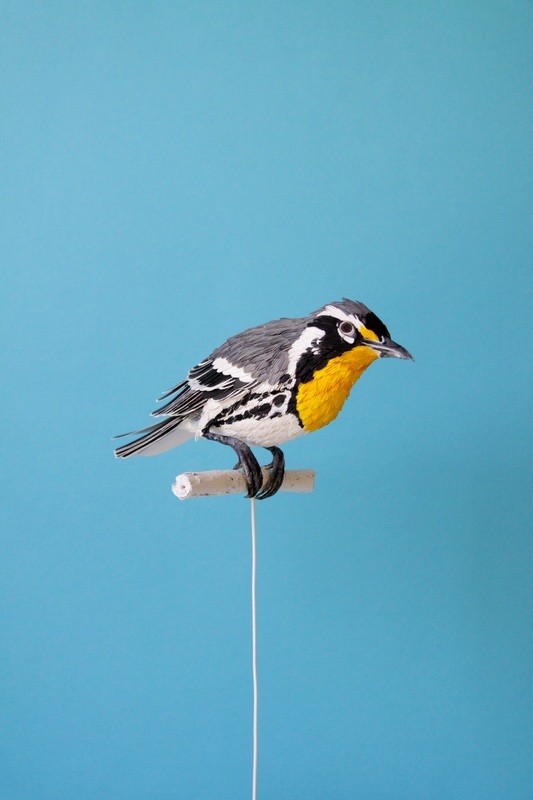 Artist Diana Beltran Herrera explores both the natural world and our distancing relationship with it through her mastery of paper sculptures. 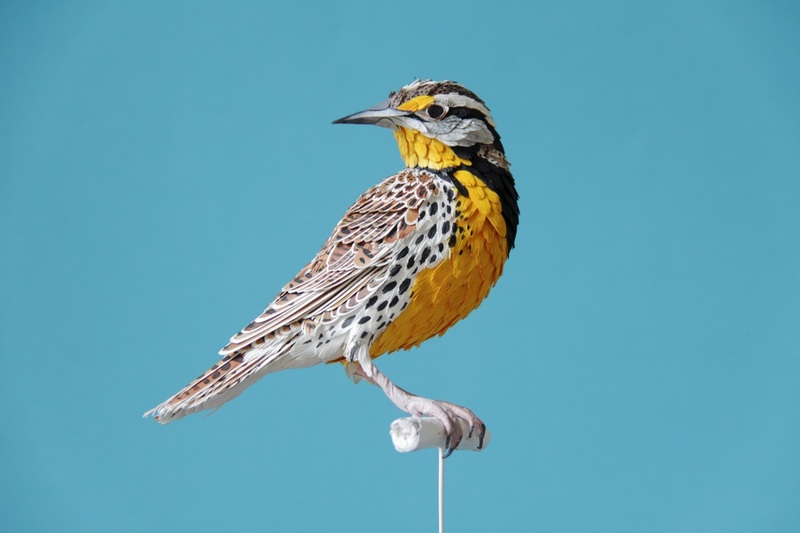 A young Colombian native and current Fine Arts Masters student at University of the West of England, Herrera was asked in 2014 by Longwood Gardens in Philadelphia, one of the most spectacular public gardens in North America, to recreate six species of local garden birds for its ongoing Webb Farmhouse exhibit. It is no surprise such an institution approached Herrera; her sculptures are immaculate in their attention to detail and lifelike quality, appropriate for the garden’s handsome surroundings. 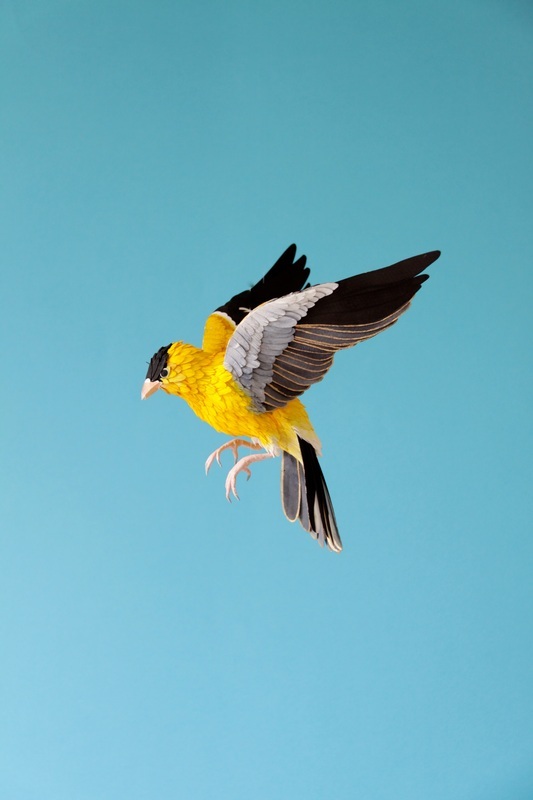 The production process for Herrera starts with finding a photograph of the bird in a position that reveals enough information about its colour, size, and shape. Next she creates a prototype using Adobe’s Illustrator program and constructs a paper skeleton. Once finished, Herrera hand cuts all the necessary, often minuscule, pieces and paints them with watercolour ink. 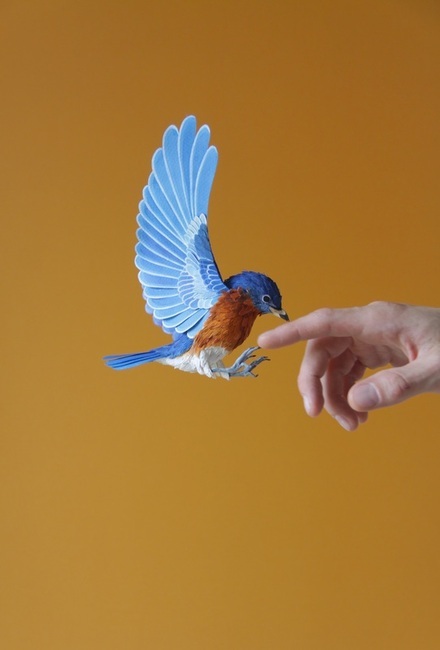 Finally the pieces are assembled, the beak and eyes the final touches on the colourful bouquet that is her paper bird. This process can take anywhere from three days to two weeks depending on its detail and size. It is the organic quality of paper that drew Herrera to use it as a medium initially. “There is no fear with it and the creative process is playful,” she says. 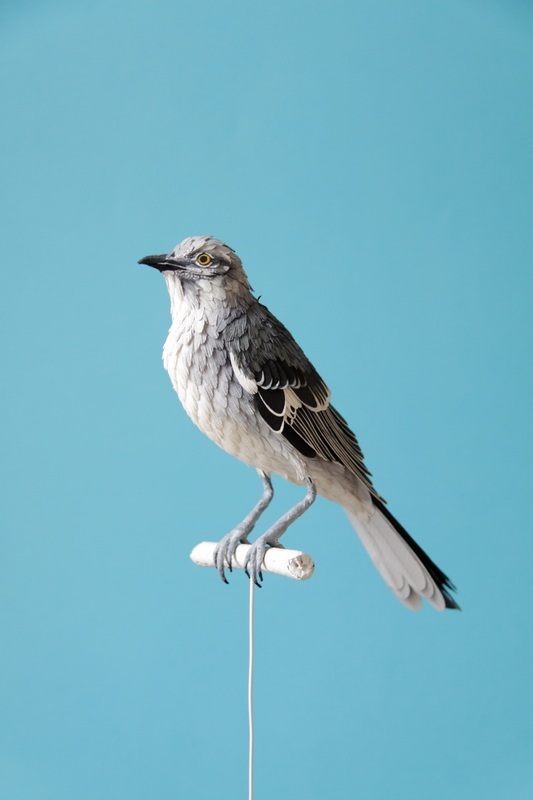 “Its uses are very immediate, so I try to configure it in more permanent things, like sculptures.” And it is through those sculptures that Herrera transforms the ephemeral to the eternal, hoping her birds will take on a life of their own.